The transcription factor ISL1 is thought to be key for conveying the multipotent and proliferative properties of cardiac precursor cells. Here, we investigate its function upon cardiac induction of human embryonic stem cells. We find that ISL1 does not stabilize the transient cardiac precursor cell state but rather serves to accelerate cardiomyocyte differentiation. Conversely, ISL1 depletion delays cardiac differentiation and respecifies nascent cardiomyocytes from a ventricular to an atrial identity. Mechanistic analyses integrate this unrecognized anti-atrial function of ISL1 with known and newly identified atrial inducers. In this revised view, ISL1 is antagonized by retinoic acid signaling via a novel player, MEIS2. Conversely, ISL1 competes with the retinoic acid pathway for prospective cardiomyocyte fate, which converges on the atrial specifier NR2F1. This study reveals a core regulatory network putatively controlling human heart chamber formation and also bears implications for the subtype-specific production of human cardiomyocytes with enhanced functional properties. The four chambers of the mammalian heart are specified from the first and second heart fields (FHF/SHF) encompassing distinct precursor cell populations that give rise, respectively, to the left ventricle (FHF) and the mostly SHF-derived right ventricle, left and right atria, and outflow tract (Buckingham et al., 2005). The LIM domain transcription factor ISL1 (Islet-1) is a prime player in and marker of the SHF from which, accordingly, both ventricular and atrial cells originate (Cai et al., 2003). The view that the SHF not only gives rise to the right ventricle and outflow tract, but also to most cells of the atria, is a result of revised lineage-tracing experiments in the mouse embryo using improved Isl1-Cre driver lines (in Yang et al., 2006). Conversely, mouse embryos deficient for Isl1 show severe cardiac defects highlighting the functional importance of ISL1 in this context (Cai et al., 2003). Proliferating ISL1+ cells not only form cardiomyocytes (CMs) but they also bear multipotent differentiation potential for generating the smooth muscle and endothelial cell lineages, as shown in vitro and in vivo (Laugwitz et al., 2008; Moretti et al., 2010, 2006). Interestingly, human embryonic stem cells (hESCs) as well as induced pluripotent stem cells may give rise to ISL1+ cells with multipotent properties (Bu et al., 2009; Moretti et al., 2010). Subsequently, these findings, as well as the fact that ISL1+ cells undergo significant expansion in vivo (Cai et al., 2003), have stimulated efforts to stably propagate them in vitro and potentially pave the way for regenerative medical approaches. ISL1 has thus been used as a main self-renewal marker in these studies (Cao et al., 2013; Cohen et al., 2007; Qyang et al., 2007; Zhang et al., 2016). A prime morphogen playing into SHF development is retinoic acid (RA). It is synthesized by the somites of the mouse embryo, to then signal to the posterior part of the SHF (Duester, 2008). At around E7.5, RA restricts the cardiac progenitor pool marked by ISL1, to subsequently promote atrial specification of the posterior SHF. Conversely, in embryos deficient in synthesizing RA, the ISL1-expressing domain of the late SHF, the anterior SHF, is expanded and atrial induction compromised (Ryckebusch et al., 2008; Sirbu et al., 2008; Zaffran et al., 2014). Interestingly, human pluripotent stem cells undergoing cardiac induction are responsive to RA - much like in the in vivo situation. Hence, activation of RA signaling promotes atrial specification at the expense of a default ventricular cell fate (Ma et al., 2011). Importantly, Devalla and colleagues have recently shown that NR2F1 (also known as COUP-TFI) is a pivotal RA-induced transcription factor. It activates at least part of an atrial-specific gene expression program including, for instance, the potassium ion channel-encoding KCNA5 gene mediating atrial-specific action potential properties (Devalla et al., 2015; Marczenke et al., 2017b). Moreover, in a recently established differentiation protocol, hESCs homogeneously pass through a transient ISL1 stage before acquiring a terminally differentiated cardiomyocyte (CM) state (Rao et al., 2016; Zhang et al., 2015). This fact prompted us to functionally investigate the role of ISL1 in hESCs undergoing cardiac differentiation. By combining directed cardiac differentiation of hESCs, targeted genetic manipulation, and functional genomics analysis, we show that ISL1 does not sustain self-renewal of cardiac precursor cells. Rather, it acts as an accelerator of cardiomyocyte differentiation and concurrently takes on a central position in the cardiac subtype specification network. Hence, we find that ISL1 is negatively linked to known and previously unrecognized drivers of atrial induction, NR2F1 and MEIS2, and that it, thereby, acts as a functional opponent of retinoic acid signaling in competing for ventricular versus atrial specification. Given its key role in vertebrate cardiogenesis and its implication in the cardiac precursor cell state, we sought to investigate the function of ISL1 upon cardiac induction of human ES cells. To this end, a functional knockout-causing deletion was induced in HuES6 cells using CRISPR/Cas9n (Figure 1A). Clonal ISL1 knockout (KO) hESCs were then differentiated using a high-efficiency monolayer protocol (Figure 1B; Zhang et al., 2015). At day 5, the approximate peak expression time point of ISL1 in this protocol (Rao et al., 2016), ISL1 was undetectable in KO cells, as expected (Figure 1C). Using time course gene expression analysis of various cardiac markers, we noticed with interest that ISL1 KO cells were not entirely deficient in undergoing differentiation into cardiomyocytes. Rather, they displayed a delayed induction of structural as well as regulatory cardiac genes but eventually, they also started to contract spontaneously (Figure 1D and Figure 1—figure supplement 1A, Videos 1 and 2). These results were confirmed at the protein level where wild-type (WT) controls showed robust abundance of cardiac markers by day 6, the usual time point of spontaneous beating initiation in the protocol, whereas ISL1 KO showed a still incomplete pattern by day 8 (Figure 1E). Hence, ISL1 is not absolutely required for CM differentiation in hESCs but its depletion slows down the process. ISL1 accelerates cardiac differentiation of hESCs without affecting cell proliferation. (A) CRISPR-mediated knockout of ISL1 in hESCs. Left: Strategy to delete the intron 1/exon 2 splice junction using two pairs of CRISPR/Cas9 nickase vectors. Right: Validation of induced genomic deletion by genomic PCR in a positive cell line. (B) Schematic of differentiation protocol. The indicated signaling factor treatments underly all cardiac induction experiments throughout this study. (C) Immunoblot validating the absence of ISL1 protein in KO cells at day 5 following the protocol of panel B. (D) Time course gene expression analysis of cardiac genes by RT-qPCR (n = 2–7). (E) Immunoblot confirming the differentiation delay of ISL1 KO cells at the protein level. (F) Schematic of inducible expression vector (top) and doxycycline treatment protocol used in most experiments to mimic the temporal ISL1 expression pattern of WT cells during directed cardiac induction (bottom). (G) Immunoblot confirming ISL1 inducibility in clonal ISL1KO/I.TET-ON cells during directed cardiac differentiation. (H) Time course gene expression analysis of cardiac genes in ISL1KO/I.TET-ON cells (RT-qPCR, n = 2–6). (I) Western blot showing restored kinetics of cardiac differentiation following pulsed ISL1 induction in ISL1KO/I.TET-ON cells. (J) Immunostaining of cardiac troponin T at day 6 of directed differentiation. (K) Cell proliferation measured by cell counting (left, n = 4) and cell cycle analysis (right) of WT and ISL KO hESCs undergoing directed cardiac induction. Stereo microscopic view of WT cells at day 8 of cardiac differentiation (24-well format). Spontaneously beating ISL1 KO hESC-CMs. Stereo microscopic view of ISL1 KO cells at day 8 of cardiac differentiation. Interestingly, different cardiac genes were affected to different degrees in ISL1 KO cells regarding their induction kinetics. To understand whether this may conversely imply an active role of ISL1 in driving the differentiation process, we generated a stable cell line on ISL1 KO background in which an ISL1 transgene could be selectively induced by doxycycline addition. This strategy would allow to investigate the function of ISL1 in a stage-specific manner, by mimicking the transient induction pattern of endogenous ISL1, for instance (Figure 1F; compare to ISL1 in Figure 1D). The resulting cell line, termed ISL1KO/I.TET-ON, showed robust ISL1 expression following a 1-day exposure to DOX (Figure 1G). Transient ISL1 induction in these cells during cardiac differentiation fully restored WT-like gene expression kinetics based on a panel of markers, which also confirmed the specificity of the underlying genetic manipulations (Figure 1H and Figure 1—figure supplement 1C). Importantly, some of these genes, notably the key cardiac regulators MEF2C and NKX2.5, showed immediate-early responses to the reintroduction of ISL1 as they became significantly upregulated after only 1 day of DOX addition (Figure 1H and Figure 1—figure supplement 1B–D). This acceleration effect regarding the upregulation of key cardiac genes also became apparent at the protein level as well as by visual inspection (Figure 1I and Figure 1—figure supplement 1J, Video 3). Spontaneously beating ISL1 KO hESC-CMs rescued by transgenic ISL1 induction at days 3 and 4. Stereo microscopic view of ISL1KO/I.TET-ON cells treated with DOXd3,4 (day 8 of cardiac differentiation). To obtain a more global insight, we recorded genome-wide expression time-series using WT and ± DOXd3,4-treated ISL1KO/I.TET-ON cells (Supplementary file 1). Stringent filtering of these data yielded a set of approximately 70 known cardiac and uncharacterized genes, all showing accelerated induction kinetics as driven by ISL1 (Figure 1—figure supplement 1E–G). Moreover, cell number as well as cell cycle stage quantification in differentiating WT and ISL1 KO cells revealed only marginal differences between these, which thus could not explain the pronounced differences in cardiac gene induction seen at days 5–6 (Figure 1K). These analyses therefore suggest that ISL1 accelerates CM formation in differentiating hESCs by activating downstream pro-cardiac genes, rather than through promoting proliferation or stability of the cardiac precursor cell state, for instance. To further investigate this latter possibility and to illuminate the putative multipotency of ISL1+ cells, we screened a panel of candidate signaling factors for their ability to either stabilize the precursor state and prevent further differentiation, or to induce different differentiation outcomes, notably cardiomyocytes, smooth muscle, or endothelial cells (Figure 2A). Several molecules promoted the specific induction of one or two or these differentiation fates. For example, FGF2 and VEGF clearly stimulated endothelial differentiation from the ISL1+ intermediate stage (Figure 2—figure supplement 1A–C). Somewhat surprisingly, however, none of the molecules, including previously reported factors and cocktails, could significantly promote ISL1 expression which eventually declined under all conditions tested (Figure 2B and C). ISL1 does not stabilize the cardiovascular progenitor cell state. (A) Assay design interrogating self-renewal and multipotent properties of ISL1-expressing cells which emerge by day 4/5 of directed cardiac differentiation. (B) RT-qPCR results from screening the indicated signaling molecules for sustaining cardiac progenitor-specific gene expression within the first passage using WT cells (n = 3–4 per sample type). (C) ISL1 immunostaining of samples treated in the indicated ways. (D) Schematic of inducible expression vector used to generate a WTI.TET-ON hESC line (top) and doxycycline treatment protocol used here to induce a continuous overexpression of ISL1 on ISL1WT background (bottom). (E) RT-qPCR analysis of ISL1 (left) and a set of 5 pan-cardiac genes (right) at day 8 of directed cardiac differentiation without or with continuous DOX treatment as shown in panel D (n = 2). (F) Immunostaining of ISL1 and early cardiomyocyte markers at day 8 of directed cardiac differentiation. Note that endogenous ISL1 has already declined in untreated cells, whereas transgenic ISL1 does not interfere with CM formation. (G) Schematic of DOX treatment protocol used here to induce ISL1 overexpression in maturating CMs. (H) RT-qPCR analysis in 3-week-old CMs following late DOX treatment of the indicated samples (n = 3). (I) Immunoblot confirming RT-qPCR analysis (H) at the protein level. Next, we challenged the system by applying continuous ISL1 overexpression in a newly generated WTI.TET-ON line (Figure 2D). Sustaining robust ISL1 levels by continuous DOX administration from day 3 of directed cardiac induction onwards did not interfere with CM formation and did not further accelerate the differentiation process (Figure 2D and E). Somewhat surprisingly, these data imply that ISL1 plays no role in sustaining the cardiac precursor cell state. As a confirmation, ISL1 activation in ISL1KO/I.TET-ON cells did not affect the expression of independent precursor genes like PDGFRA (Figure 2—figure supplement 1D). We did, however, notice that a later induction of ISL1 in already-formed CMs specifically antagonized the expression of ventricular-specific genes, notably that of MLC2v, without compromising pan-cardiac CTNT expression (Figure 2G–I). Similar observations were made upon enforced long-term (3 wk) overexpression of ISL1 (Figure 2—figure supplement 1E). Collectively, these data reveal distinct stage-dependent effects of ISL1 overexpression, in agreement with the mouse system (Dorn et al., 2015). Significantly, however, they establish that at early differentiation stages, ISL1 acts as a pro-differentiation factor. As already mentioned, ISL1 KO cells displayed a delay in beating initiation and also, at a later stage, appeared to have shorter contraction durations as compared to wild-type cells. These observations reminded us of the behavior of wild-type CMs differentiated in the presence of retinoic acid, which we coincidently studied in parallel efforts. RA treatment during CM induction is to apply a physiological signaling cue for promoting CM subtype specification into atrial cells, as opposed to ventricular CMs usually obtained by default (Devalla et al., 2015; Ma et al., 2011). Interestingly, a thorough optimization of atrial fate induction by RA in WT cells revealed that the optimal time window of exposure overlapped with that of endogenous ISL1 induction in our protocol. Hence, a 2-day treatment with RA (0.5 µM) on days 3 and 4 was sufficient to induce robust atrial specification while suppressing a ventricular fate (Figure 3—figure supplement 1A–D). Concomitantly, however, RA administration caused a differentiation delay similar to ISL1 KO cells differentiated with the standard protocol (Figure 3A and B). We therefore hypothesized that the ISL1 KO - instead of compromising CM formation in general - may cause a switch in CM subtype identity, from ventricular to atrial-like, similar to the effects of RA stimulation. ISL1 KO phenocopies an atrial wild-type CM phenotype induced by retinoic acid. (A) Upon directed cardiac induction, ISL1 KO as well as RA-treated wild-type hESCs display delayed terminal CM differentiation reflected by a later initiation of spontaneous beating (semiquantitiative analysis, n = 3–14 per sample). ‘ISL1’ and ‘no RA’ denote different batches of WT HuES6 cells. (B) Immunofluorescence analysis of the early CM marker myosin heavy chain 6 upon directed cardiac differentiation of the indicated samples/cell lines. ‘ISL1’ cells are d 3/4 transgene-induced ISL1 KO hESCs. (C) Expression pattern of atrial and ventricular-enriched genes in the indicated in vivo and hESC-derived samples. Primary human heart samples served as specificity controls (microarray data). (D) Confirmation of ventricular and atrial-specific gene expression profiles by RT-qPCR in independent sets of experiments (n = 4–7 per sample type). (E) Immunoblots 3 wk after the initiation of cardiac differentiation for ventricular-specific myosin light chain and atrial natriuretic peptide. (F) Confirmation of cardiac subtype-specific phenotypes by immunostaining (~3 wk time point). (G) Model summarizing the opposing roles of ISL1 and RA signaling in cardiac subtype specification. (H) Enhanced atrial and further reduced ventricular gene expression in RA-treated ISL1 KO CMs as compared to RA-treated WT and untreated ISL1 KO cells (RT-qPCR data at ~2.5 wk, n = 3). (I) Spontaneous beating analysis of the indicated hESC-CM samples on multielectrode arrays. Left: Representative traces. Right: Beating rate quantification (ntech. = 3). Results were reproducible in independent experiments. (J) Representative action potential traces from patch clamp analyses of the indicated types of hESC-CMs. Note the additional action potential shortening upon combining ISL1 depletion with RA treatment. See Supplementary file 2 for averaged data from independent samples. In case of using ISL1KO/I.TET-ON cells, all ISL1+ data in this figure are based on a day 3–4 treatment with DOX. A microarray analysis of later-stage ± DOXd3,4-treated ISL1KO/I.TET-ON cardiomyocytes, ± RAd3,4-treated CMs, as well as human ventricular and atrial heart tissue served to address this idea. A panel of accepted and newly identified markers such as atrial ANP, DHRS9, KCNA5, SLN (encoding sarcolipin) and the ventricular-specific MLC2v (Josowitz et al., 2014; Piccini et al., 2015) could well discriminate between the distinct human heart samples. Strikingly, these were also differentially expressed between DOX-treated ISL1KO/I.TET-ON and WT CMs on the one hand, and ISL1-deficient and RA-treated WT CMs on the other (Figure 3C). These data were confirmed in independent experiments, at RNA and protein levels: RA-treated WT CMs consistently showed a pronounced expression of atrial-specific markers and a strong decline in ventricular-specific gene expression - and this was phenocopied by the ISL1 knockout, with only some variation in the degree of the phenotypes from experiment to experiment (Figure 3D–F). These data establish a novel and crucial role of ISL1 at the cardiac precursor state, namely, to promote ventricular CM subtype specification and counteract an atrial fate, thereby competing with RA signaling for prospective CM identity (Figure 3G). Intriguingly, ISL1 depletion alone was apparently sufficient to promote an atrial-like expression pattern - without need for exogenous RA stimulation during cardiac induction. We next sought to investigate whether this change in gene expression would also translate into distinct functional properties. In addition, we wondered if RA stimulation and ISL1 depletion would synergize to yield an enhanced atrial phenotype. To this end, we compared untreated WT CMs, ISL1 KO CMs, RAd3,4-treated WT CMs, and RAd3,4-treated ISL1 KO CMs to one another. The latter type indeed showed enhanced expression levels of the atrial regulator NR2F1 and of KCNA5 which encodes a key atrial-specific potassium ion channel (Figure 3—figure supplement 1E and Figure 3H, respectively). KCNA5 accounts for the shortening of atrial CM-specific action potentials as compared to ventricular ones, which also translates into faster spontaneous beating of atrial-like hiPSC-CMs (Marczenke et al., 2017b). Likewise, ISL1 KO and RAd3,4-treated hESC-CMs showed increased beating frequencies as compared to ventricular-like controls. Interestingly, RAd3,4-treated ISL1 KO CMs contracted at even faster rates (Figure 3I). Furthermore, using single-cell patch clamp analysis, ISL1 KO CMs displayed atrial-type action potentials, similar to RA-CMs. In line with the increased KCNA5 expression levels, however, action potential durations in RAd3,4-treated ISL1 KO CMs were even further reduced (Figure 3J and Supplementary file 2A). Finally, to reveal a clear-cut functional feature, we blocked KCNA5 channels using a pharmacological inhibitor, 4-aminopyridine (Devalla et al., 2015). As predicted, this treatment had no effect on ventricular-like WT hESC-CMs but it significantly prolonged action potentials in the other three groups, particularly in RAd3,4-treated ISL1 KO cells (Figure 3—figure supplement 1F and Supplementary file 2B). These results show that ISL1 KO CMs functionally resemble atrial cardiomyocytes and that this phenotype may be further enhanced by transient RA stimulation, in line with the competition model of Figure 3G. Further, we sought to identify the gene regulatory basis of this antagonism between RA signaling and ISL1. RA signaling is known to restrict the ISL1-expressing domain at the SHF stage in vivo (Ryckebusch et al., 2008; Sirbu et al., 2008). To investigate a potentially similar effect in the hESC system, we recorded gene expression time courses of differentiating RAd3,4-treated and untreated WT hESCs (Supplementary file 1). ISL1 indeed became partially repressed by RA but it did so with a delay of about 1 day, suggesting an indirect mechanism (Figure 4A, left). Unbiased filtering of the array data set as well as independent short-term RA stimulation experiments revealed two genes that could potentially mediate the ISL1-suppressing effect, the transcription factor-encoding MEIS2 and HAND1: MEIS2 became immediately upregulated by RA and HAND1 became immediately repressed (Figure 4A). These kinetics suggested two working hypotheses depicted in the right part of Figure 4A. Regardless of their specific functions in cardiogenesis reported to date, we hence decided to test both these ideas using newly generated DOX-inducible expression cell lines (Figure 4B and Figure 4—figure supplement 1A). Enforced HAND1 induction during cardiac differentiation did not lead to an upregulation of ISL1, which lead us to drop the first hypothesis (Figure 4—figure supplement 1A). Retinoic acid signaling antagonizes ISL1 by inducing MEIS2. (A) Top left: Microarray-based time course gene expression analysis of untreated and RA-treated (0.5 µM on d 3–4) WT hESCs subjected to cardiac induction conditions (from Supplementary file 1). Bottom left: RT-qPCR analysis over several hours on day 3 of cardiac induction (n = 2–3). Filtering criteria: >3 fold expression difference at day 5 between ± RA and confirmed short-term effect within 4 hr of RA treatment. Right: Deduced working hypotheses on indirect suppression of ISL1 by RA. (B) Top: Schematic of PiggyBac vector for DOX-inducible MEIS2 expression (top). Middle: Immunoblot on day 5 of cardiac differentiation confirming MEIS2 induction in clonal WTM.TET-ON hESCs following DOX addition (d 3–4). Bottom: Immunostaining confirming predominantly nuclear MEIS2 (isoform D) localization. (C) ± RA and ± DOX (MEIS2) differentiation time courses using WTM.TET-ON hESCs. Left: RT-qPCR analysis (n = 4–6 each). Right: Western blot analysis. (D) Comparative analysis of HuES6 WT and MEIS1/2 KO hESC differentiation without or with RA addition (d 3–4). Left: RT-qPCR analysis (n = 3 each). Right: Corresponding immunoblot analysis. By contrast, MEIS2 activation, as restricted to the optimal RA treatment window at days 3 and 4 of directed cardiac differentiation, significantly - and reversibly - suppressed ISL1, similar to RA treatment itself (Figure 4C). The downstream effects on the predicted human ISL1 target gene MEF2C were even more severe. Importantly, MEIS2 induction also caused an upregulation of NR2F1 which is a key driver of atrial fate induction, albeit with some delay compared to RA stimulation (Figure 4C; Devalla et al., 2015). Moreover, all these effects were RA signaling and MEIS2 gene dose-dependent (Figure 4—figure supplement 1B). Hence, MEIS2 appears to be an important player in atrial CM specification, acting downstream of RA signaling to suppress ISL1 and promote the induction of the atrial specifier gene NR2F1. To further strengthen this conclusion, we next sought to perform the reverse experiment, after disrupting MEIS2 together with MEIS1 that might otherwise compensate for the loss of its family member (Figure 4—figure supplement 1C). Clonal MEIS1/2 double-knockout (DKO) hESCs were subjected to directed cardiac induction in comparison to WT cells. Terminally differentiated MEIS1/2 DKO cells failed to show spontaneous beating, yet they stained positive for prominent pan-CM markers (Figure 4—figure supplement 1D). We reasoned that in light of the mildness of this DKO phenotype, the model would still allow for investigating the early regulatory relationships of interest upon precursor cell formation. In WT controls, RA administration at days 3 and 4 partially suppressed ISL1 and promoted NR2F1 induction, as seen before (Figure 4D). 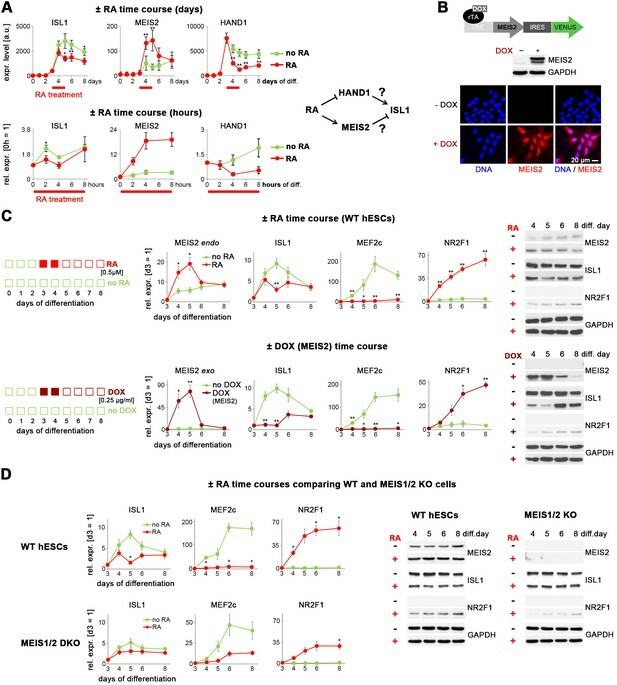 In comparison, MEIS1/2 DKO cells failed to markedly suppress ISL1 as well as its target gene MEF2C in the presence of RA, and the RA-mediated induction of NR2F1 was strongly compromised (Figure 4D). These data establish MEIS2 as a mediator of ISL1 suppression by RA signaling, thereby favoring atrial specification. Conversely, we asked how ISL1 may antagonize atrial induction promoted by RA signaling. In addition to NR2F1, the family member NR2F2 as well has been shown to be an important atrial driver downstream of RA (Devalla et al., 2015). We hence performed time course expression analyses comparing ISL1+ and ISL1-deficient hESCs undergoing cardiac induction, while paying particular attention to these two genes. Other early or later atrial and ventricular markers did not consistently show an immediate response to ISL1 activation by DOX in differentiating ISL1KO/I.TET-ON cells (Figure 5A, right, and Figure 5—figure supplement 1A). This was also true for NR2F2 which showed a significant but overall delayed suppression response to ISL1 (Figure 5A, middle panel). By contrast, NR2F1 became rapidly induced in ISL1 KO cells, remained essentially unexpressed in WT cells, and was antagonized by DOX-mediated ISL1 induction as early as at day 4 (Figure 5A, left). Accordingly, pulsed ISL1 induction by DOX addition on days 3 and 4 of differentiation preserved low levels of NR2F1 protein in early CMs (Figure 5B). These data show that ISL1 serves to antagonize the key atrial regulator gene NR2F1. ISL1 suppresses the early atrial specifier NR2F1. (A) Time course gene expression analysis of early atrial and ventricular genes by RT-qPCR (n = 2–10 per data point). Comparison between WT and ISL1 KO cells (top), and ISL1 KO versus pulsed ISL1 rescue (bottom, with ISL1KO/I.TET-ON cells). Note the immediate-early effect on NR2F1, which is not seen in case of NR2F2 or IRX4. (B) Immunoblot for NR2F1 at an early CM stage. (C) RA receptor antagonist AGN 193109 (100 nM) does not rescue the phenotype of ISL1 KO cells, as shown by RT-qPCR (top, n = 4) and immunoblot (bottom) in the indicated conditions. Further, we sought to test whether endogenous RA signaling is involved in promoting NR2F1 induction in an ISL1-deficient setting. We hence employed AGN 193109 (AGN), a pan RA receptor antagonist (Agarwal et al., 1996). AGN effectively antagonized RA-driven atrial induction in a dose-dependent manner (Figure 5—figure supplement 1B). Based on these validation data, differentiating ISL1 KO hESCs were exposed to the RA inhibitor. 100 nM AGN did not compromise (but rather enhanced) NR2F1 induction caused by ISL1 deficiency (Figure 5C). Moreover, transient ISL1 overexpression in differentiating ISL1KO/I.TET-ON cells did not lead to the downregulation of MEIS2, which, as shown above, acts downstream of RA signaling to downregulate ISL1 and upregulate NR2F1 (Figure 5—figure supplement 1C). These experiments suggest that ISL1 controls a RA-independent axis in suppressing NR2F1. The above data uncover an important function of ISL1 in repressing atrial specification, and also in accelerating CM formation in favor of a ventricular identity. To understand whether these effects are likely to be based on direct gene regulation, we performed ISL1 ChIP-sequencing based on day 5 differentiating samples. In employing ISLKO/I.TET-ON cells, no-DOX samples could serve as a near-perfect specificity control. Surprisingly, the number of unequivocally ISL1-bound sites was rather limited (~200 loci), while technical reasons cannot be ruled out to account for this result (Figure 6A and Supplementary file 3). Most of these hits were rather distant to transcription start sites of known genes (Figure 6B). A sequence analysis of the bound regions, however, identified a short binding motif resembling those obtained in the mouse neural context (Figure 6C; Mazzoni et al., 2013). Moreover, functional annotation of the nearest genes revealed biologically meaningful terms like ‘cardiocyte differentiation’ and ‘heart development’, and interestingly also that ISL1 binding was enriched near genes with regulatory functions (Figure 6D). ISL1 functionally antagonizes atrial specification driven by RA signaling. (A) ISL1 ChIP-sequencing in differentiating ISL1KO/I.TET-ON cells. Summary plot of normalized scores for ISL1 peak regions (top) and intensity-sorted heat map for detected peaks called in DOX-treated samples versus ChIP input DNA (also see Supplementary file 3). No-DOX cells served as an additional specificity control. Minor signals in this sample likely result from leaky transgene expression. (B) ISL1-bound peak distribution relative to transcription start sites of known genes. (C) Single enriched motif identified using DNA sequences underlying ISL1-bound peak regions. (D) Functional annotation of gene set associated with ISL1 peaks (also see Supplementary file 3). (E) Highlighting of ISL1-bound genes in a scatter plot revealing ISL1-induced differential gene expression at day 5 of differentiation (line ISL1KO/I.TET-ON, ± DOX treated at d 3–4). Expression ratio cutoff: 1.5-fold. Also see color-coded data in Supplementary file 3. (F) ChIP-qPCR analysis in differentiating ISL1KO/I.TET-ON hESCs of newly identified ISL1-bound sites as well as of regions homologous to published mouse ISL1 enhancers (n = 4–5). See Supplementary file 4 for amplicons used. Bottom: Corresponding ISL1 ChIP-seq pileups. (G) Left: Design of RA/ISL1 competition experiment using WTI.TET-ON cells. Right: RT-qPCR analysis (n = 4). (H) CM fate analysis of RA/ISL1 competition experiment at 2.5 wk (RT-qPCR data, n = 4). (I) CM subtype analysis of the indicated samples 3 wk after differentiation start. (J) Elucidated regulatory module controlling cardiac subtype specification and CM formation speed in differentiating hESCs. See text for discussion. The RA-NR2F1-KCNA5 axis has previously been revealed by Devalla et al. (2015). To assess which binding events may translate into actual changes in cardiac-associated gene expression, the target gene set of Supplementary file 3 was mapped to the day 5 data of Supplementary file 1, that is, to ISL1-dependent differential gene expression at the cardiac precursor state. This functionally regulated subset also included MEF2C, a crucial cardiac regulator downstream of ISL1 in mouse (Wang et al., 2016). Although the fold enrichments were rather low, independent ChIP-qPCR analysis clearly confirmed several binding events associated with differential gene expression at day 5, which also included NR2F1 (Figure 6F). We also noticed distal ISL1 binding near the anti-mesodermal SOX2 locus (Rao et al., 2016), implying that ISL1 may help to sustain its repression during cardiac induction. Indeed, ISL1 KO cells tended to moderately regain SOX2 expression and ISL1 could antagonize this gene when activated in undifferentiated hESCs (Figure 6—figure supplement 1A and B). By contrast, following up on the putative ISL1-controlled repressor element upstream of NR2F1 - by excising it from the genome of ISL1KO/I.TET-ON cells - did not bear obvious functional implications (Figure 6—figure supplement 1C). Overall, these data suggest that ISL1 acts by regulating a limited but crucial set of downstream regulatory genes. NKX2.5 was not picked up by our ChIP-seq analysis although transcriptionally, it fulfilled all criteria of being direct human ISL1 target as well (Figure 1—figure supplement 1B and D). Finally, we sought to assess whether or not the repression of ISL1 by retinoic acid signaling revealed above presents a functional requirement for atrial induction. To this end, we designed a competition experiment between RA and ISL1 in WTI.TET-ON cells (Figure 6G, left). Stage-specific ISL1 overexpression during pro-atrial RA supplementation promoted WT-like CM differentiation kinetics and strongly interfered with atrial gene induction - and with the upregulation of NR2F1 in particular (Figure 6G, right, and Figure 6—figure supplement 1D). Analysis of the resulting CMs revealed a ventricular rather than an atrial subtype identity of the RA+DOX cells, indicating that ISL1 dominates the experimental outcome in this scenario (Figure 6H and I). This study uncovers previously unrecognized functions of ISL1 in cardiac differentiation and, particularly, it assigns a central role to this gene in the fundamental context of cardiac subtype specification. Notably, our results are exclusively based on the human ES system and thus, it is presently uncertain to which extent they may also apply to the in vivo context. Based on its mouse knockout phenotype and its pronounced expression in the expanding SHF, ISL1 has thus far been associated with the proliferating, that is self-renewing, state of cardiac precursor cells (Cai et al., 2003; Cohen et al., 2007; Laugwitz et al., 2008; Zhang et al., 2016). Indeed, isolated ISL1+ cells have been shown to be amenable to (limited) expansion in vitro (Bu et al., 2009; Cao et al., 2013; Qyang et al., 2007). However, ISL1 merely served as a marker of the cardiac precursor cell state in these studies, which does not necessarily imply any active role in sustaining self-renewal of these populations. Hence, our finding that transient ISL1 induction, and even its continuous enforced expression, does not block the differentiation process but actually accelerates the induction of prominent cardiomyocyte-specific genes, may seem surprising but does not per se present a conflicting result with previously published work. In support of this view, Kwon et al. (2009) proposed that ISL1 may actually be counterproductive for sustaining the cardiac precursor state. Interestingly, our observations in the hESC system are also confirmed by enhanced cardiomyocyte yields obtained after constitutive Isl1 overexpression in mouse ES cells, suggesting a universal cardiac differentiation-promoting role of this factor (Dorn et al., 2015; Kwon et al., 2009). How is this effect brought about? Our ChIP-seq analysis in conjunction with our differential time course expression data suggests that ISL1 does not immediately promote the induction of structural CM genes: Although some of these - MYH6, MYL4, and others - start becoming upregulated as early as at day 4/5 of directed cardiac induction, their induction patterns were either unaffected by depleting/reintroducing ISL1 or we did not observe any ISL1 binding to their loci, with only few putatively minor exceptions (MYLK3; Chan et al., 2008). Rather, ISL1 appears to affect the expression of a small but crucial set of transcriptional regulators in differentiating hESCs, notably MEF2C and NKX2.5 (and NKX2.6) - albeit likely via an alternative human-specific enhancer in case of MEF2C and with borderline evidence for direct binding in case of NKX2.5 (Dodou et al., 2004; Lin et al., 1997; Lyons et al., 1995; Takeuchi et al., 2005; Tanaka et al., 2001). Interestingly, several studies have revealed a negative feedback mechanism by mouse NKX2.5 on the cardiac progenitor state and on Isl1 in particular (Dorn et al., 2015; Prall et al., 2007; Watanabe et al., 2012), which is also in line with the rapid decline of ISL1 in early NKX2.5+ hESC-CMs (Zhang et al., 2015). This mechanism might therefore imply that cardiac ISL1 expression is transient by nature, that is, inevitably fated to promote a successive conversion into an early cardiomyocyte identity. Thus, attempts to stabilize the ISL1+/NKX2.5- cardiac precursor cell state long-term in a cell culture setting would need to neutralize the pro-differentiation function of ISL1, which has thus far failed in our hands using candidate signaling molecules or cocktails thereof (Cao et al., 2013; Cohen et al., 2007; Qyang et al., 2007). Paradigm for second heart field development? A compelling question is whether hESCs on their way to differentiating into cardiomyocytes actually take a FHF or a SHF-like route. At first sight, ISL1 itself could be considered as a marker to address this issue because it is a prime player in the SHF. Sensitive Cre driver lines, however, additionally suggest a transient expression of Isl1 in the FHF (Dorn et al., 2015; Prall et al., 2007). To the best of our knowledge, the very transient expression of Isl1 in the FHF - and likewise in the posterior SHF - is not associated with any major function (Cai et al., 2003; Dodou et al., 2004). Therefore, our observed impairment of cardiac induction following of ISL1 depletion in hESCs would best fit to the idea that hESCs tend to differentiate via a SHF-like path - at least in our particular protocol. In general, however, there is a scarcity of markers definitely distinguishing the SHF from the FHF and hence, this hypothesis seems hard to substantiate. It is noteworthy, at least, that the expression of some SHF-associated genes like FGF8, FGF10, or HAND2 was indeed compromised in our ISL1 KO time course (Supplementary file 1). 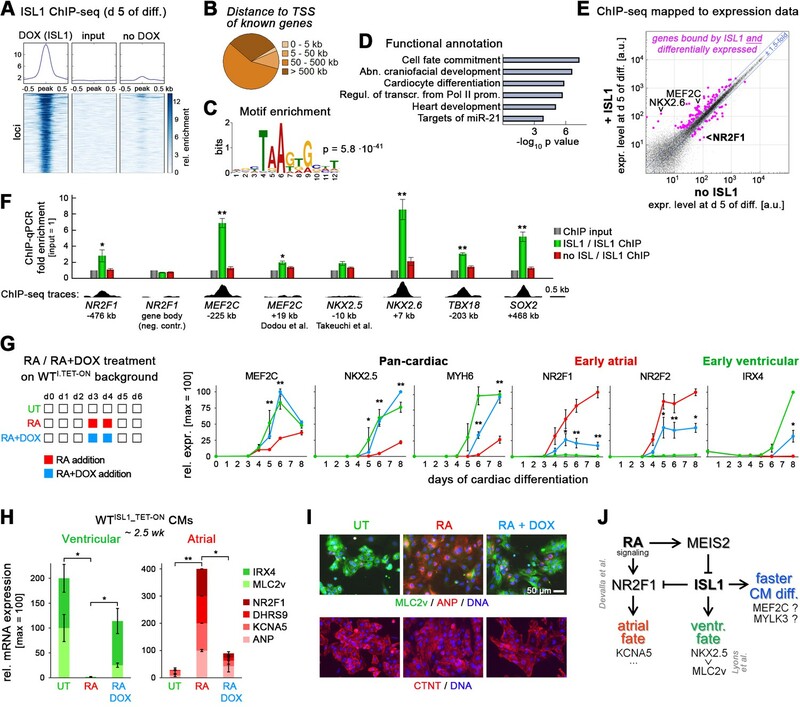 Nonetheless, it may also be that even tightly controlled hESC differentiation protocols do not strictly adhere to in vivo developmental routes. Moreover, it is conceivable that different differentiation protocols may give rise to distinct differentiation intermediates or mixtures thereof (Lian et al., 2012; Yang et al., 2008; Zhang et al., 2015). Additional loss- and gain-of-function studies in the hESC system - targeting MEF2C and others - are needed to better understand the degree of similarity between in vivo cardiogenesis and directed cardiac hESC differentiation. hESCs undergoing cardiac induction are responsive to RA and the temporal window of opportunity for RA-mediated atrial specification overlapped with the induction of ISL1. 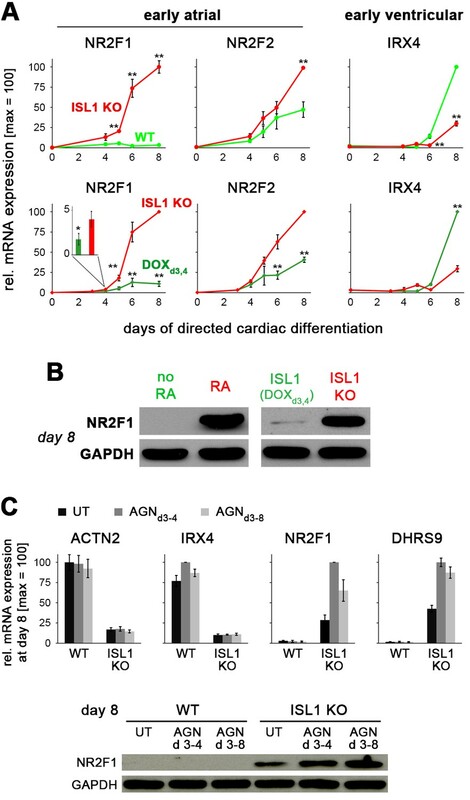 Besides inducing a key regulator of atrial fate induction, NR2F1 (and NR2F2; Devalla et al., 2015), we show that RA antagonizes ISL1 expression, which appears to be in agreement with an expansion of the Isl1+ anterior SHF domain following RA signaling depletion in vivo (Ryckebusch et al., 2008; Zaffran et al., 2014). Restriction of Isl1 by RA in mouse and/or zebrafish is thought to be mediated via a repression of FGF signaling and/or via an induction of the LIM domain protein-encoding gene Ajuba (Sirbu et al., 2008; Witzel et al., 2012). AJUBA (JUB) was only expressed at low levels in our ± RA differentiation time courses and was not positively regulated by RA. Furthermore, FGF8 did become repressed by RA but FGF signaling tended to affect ISL1 expression levels in a negative rather than in a positive manner, as based on the aforementioned assay. Instead, we find that in differentiating hPSCs, the slightly delayed and transcriptionally moderate repression of ISL1 by RA is mediated by MEIS2, a known but still underinvestigated player at the cardiac precursor stage (Dupays et al., 2015; Paige et al., 2012; Wamstad et al., 2012). Hence, we propose that RA exerts its ISL1-repressing function through this indirect mechanism, at least in the human ESC system (Figure 6J). Interestingly, though, the regulatory link between RA signaling and Meis2 has also been revealed in a different context, limb development, raising the possibility that it might also be operative in the developing heart (Cunningham and Duester, 2015). Another key finding of this study is that ISL1 functionally serves to antagonize atrial induction, most immediately by suppressing the upregulation of NR2F1 (Devalla et al., 2015), in a RA-independent fashion. Importantly, our competition experiments indicate that the enforced expression of ISL1 may neutralize the pro-atrial effects of RA. These data therefore reveal that ISL1 repression is a key functional requirement - not merely a correlative event - for enabling atrial induction. Furthermore, ISL1 depletion and RA signaling synergized to give rise to cells with enhanced atrial features. The antagonism between RA signaling and ISL1 converging on NR2F1 hence appears to form the core of a regulatory module controlling cardiac subtype specification (Figure 6J). Moreover, overlapping with the delay in pan-cardiac differentiation, ISL1 disruption alone was sufficient for promoting a mild atrial-like CM phenotype at the expense of a ventricular identity. According to the model, this would primarily be mediated through derepression of NR2F1, while we speculate that autocrine RA signaling might serve as an additional intrinsic cue in this scenario (Lee et al., 2017). Interestingly, Isl1-deficient SHF cells in vivo fail to form right ventricular progeny, yet they show sustained competence for atrial specification (Cai et al., 2003). Hence, our hESC-based findings - that ISL1 is a key pro-ventricular/anti-atrial player - appear to conform with observations made in the mouse embryo. As a seeming discrepancy with our data and interpretation, though, Dorn et al. (2015) observed a suppression of ventricular fate following Isl1 overexpression in differentiating mouse ES cells. However, this discordance may be explained by the fact that these authors used long-term Isl1 overexpression, as opposed to our mimicking of the endogenous ISL1 expression pattern using pulsed - not constitutive - transgene induction: Indeed, ISL1 induction in already formed CMs or long-term overexpression confusingly suppressed ventricular-specific markers, similar to observations made by Dorn and colleagues using mouse cells. We think, though, that this treatment disregards the transient nature of ISL1 expression upon cardiac induction and therefore, this late anti-ventricular action should be considered non-physiological. This study exemplifies the utility of combining genetic manipulation of hESCs with their controlled differentiation, as applied to deciphering the gene regulatory network underlying cardiac subtype specification. It will be interesting in future to study a number of remaining questions, such as the exact mode of NR2F1 suppression by ISL1 or the later-stage repression of ventricular-specific gene induction (MLC2v, IRX4) by the atrial program. Besides illuminating a fascinating developmental paradigm, these efforts will also help to further improve cardiac subtype-specific differentiation protocols for applied biomedical purposes (Marczenke et al., 2017b). HuES6 hESCs (Cowan et al., 2004) served as starting material for genetic manipulation and experimentation. RA-driven atrial induction was independently reproduced using F1 hiPSCs (Marczenke et al., 2017a). hESCs were routinely maintained in defined FTDA medium on 1:75 diluted Matrigel HC (Corning # 354263; Frank et al., 2012). FTDA was composed of DMEM/F12, 1% (v/v) PenStrep/Glutamine, 1% (v/v) defined lipids (Thermo # 21331020, # 10378016, and # 11905031, respectively), 0.1% (v/v) ITS (Corning # CB-40350), 0.1% (w/v) human serum albumin, 10 ng/ml FGF2, 0.2 ng/ml TGFβ1, 50 nM Dorsomorphin, and 5 ng/ml Activin A (also see Supplementary file 4). Some genetically modified lines were additionally supplemented with 2 nM C-59 to fully suppress spontaneous differentiation. Fully confluent hESC cultures were routinely passaged using single-cell dissociation with Accutase and reseeded into new 6-well plates at 400,000 cells per well in the presence of 10 µM Y-27632. Cells were split every 3–4 days and kept in culture for a maximum of 30 passages. hESCs were previously confirmed to maintain a normal karyotype during this time frame (in Zhang et al., 2015) and tested negative for mycoplasma. Cardiac induction was carried out in a monolayer format under defined serum and serum albumin-free conditions (Zhang et al., 2015). Fully confluent day 3 or day 4 hESC cultures - which then appeared as a tight epithelial layer - were harvested using Accutase, centrifuged at 200 g, resuspended in day-0 differentiation medium, and seeded out at 500,000 cells per well of a Matrigel-coated 24-well plate, in 2 ml of medium. Day-0 differentiation medium consisted of Knockout DMEM (Thermo), ITS, PenStrep/Glutamine, 10 µM Y-27632, 20 ng/ml FGF2 (or 10 ng/ml FGF2/5 ng/ml Activin A), 0.5–1 ng/ml BMP4, and 1 µM CHIR99021 (also see Supplementary file 4). Differentiation medium was exchanged on a daily basis. From day 1 onwards, basal differentiation medium consisted of KO-DMEM, 1% (v/v) TS (transferrin/selenium), 250 µM 2-phospho-ascorbate, and PenStrep/Glutamine. TS stock was prepared in advance by dissolving 55 mg transferrin (Sigma-Aldrich # T8158) in 100 ml PBS containing 0.067 mg sodium selenite. WNT inhibitor C-59 (0.2 µM) was added on days 2 and 3 to the differentiating cultures for promoting cardiac specification. In transgenic cell lines, ISL1 or MEIS2 were induced using a minimum dose of doxycycline leading to near-homogeneous expression in the cell populations (0.2–1 µg/ml), and typically in such a way that transgene expression matched the temporal induction patterns of the corresponding endogenous factors in WT cells. 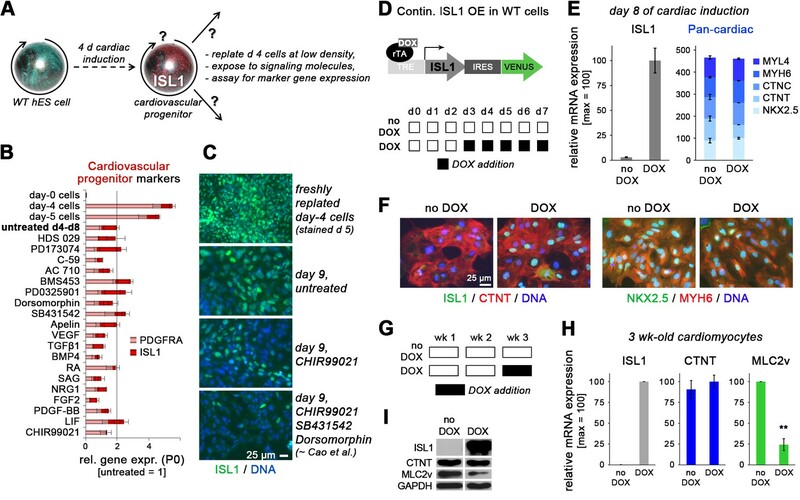 Unless stated otherwise, the endogenous ISL1 expression pattern was mimicked by pulsed DOX administration on days 3 and 4 using ISL1KO/I.TET-ON cells. For atrial specification using retinoic acid, RA was typically supplemented at 0.5 µM on days 3 and 4 of differentiation, in line with the optimization data of Figure 3—figure supplement 1A–D. Aliquots of RA stock solutions dissolved in DMSO were stored at −80°C and discarded after one-time use. Cardiac samples were either harvested for analysis directly from primary differentiation plates or replated using TrypLE Select (Thermo) onto Matrigel-coated dishes for longer term culture and maturation. CM splitting medium consisted of RMPI 1640 (Thermo), ITS, 0.1% HSA, defined lipids, 250 µM 2-phospho-ascorbate, 0.004% (v/v) thioglycerol, PenStrep/Glutamine, and 10 µM Y-27632. CM maintenance medium was composed of KO-DMEM supplemented with ITS, HSA, defined lipids, phospho-ascorbate, thioglycerol, and PenStrep/Glutamine. Culture medium of CM maintenance plates was exchanged every few days. Cells were harvested for analysis after a 1–2.5 week maturation period following primary cardiac differentiation. In some experiments, cells were exposed to various stimuli before reaching a definite cardiac fate. To this end, undifferentiated cells or differentiation intermediates were replated onto Matrigel-coated dishes at an assay-compatible density and treated as indicated using defined ITS/HSA medium (DMEM/DF12 plus ITS, HSA, defined lipids, and PenStrep/Glutamine). For gene disruption using the CRISPR/Cas9n system, two pairs of nickase CRISPRs were designed to encompass genomic regions of interest (‘4 n’ approach; Ran et al., 2013). CRISPR vectors were generated following a protocol associated with Addgene plasmid # 42335 (Cong et al., 2013). Guide RNA-specific targeting sequences are given in Supplementary file 4. Sense and antisense oligonucleotides composed of these sequences as well as flanking overhangs for cloning were phosphorylated in vitro and annealed in pairs, to yield double-stranded DNA fragments. These were cloned into a modified version of the pX335 vector carrying a GFP-2A-puromycin selection cassette. For deleting one genomic region, hESCs were transfected with the four corresponding CRISPR vectors using Fugene HD (200,000 cells / 2 µg of vector mix / 6 µl Fugene HD, in FTDA medium). For simultaneously disrupting two genes, hESCs were accordingly transfected with a cocktail of eight plasmids. One day later, transfected cells were enriched using transient puromycin treatment for 1 day (0.5 µg/ml). Two days later, semiconfluent cultures were replated at clonal density and fed for about 2 weeks. Half the cells from single emerging colonies were used for crude DNA isolation. Conventional PCR spanning the putative genomic deletion region was used to screen these samples for positive cell clones. The remaining half-colonies from positive clones identified this way were used for replating and expansion. PCR fragments spanning the deletion mutations were cloned and sequenced. Homozygous knock-outs of genes of interest were further confirmed at the RNA and protein levels. 2–3 KO clones per targeted locus were initially validated to yield comparable experimental outcomes, to then focus efforts on one selected clone each. Clonal DOX-inducible overexpression lines were generated using PiggyBac transposition. ORFs of genes of interest were TOPO-cloned from cDNA of differentiating hESCs (Supplementary file 4). Following validation by sequencing, these fragments were subcloned into the previously used inducible expression vector KA0717 (Rao et al., 2016). A given construct was then co-transfected with transactivator and transposase-encoding vectors into hESCs using Fugene HD (DNA mass ratio: 10:1:3, respectively). Stable transgene-positive cells were selected using 50 µg/ml G418 and replated at clonal dilution. Emerging colonies were test-induced for 1 day using doxycycline. Single clones showing homogeneous transgene expression on the basis of an IRES-VENUS cassette were picked, expanded, and validated to still be capable of differentiation into the cardiac lineage. Transgene expression levels in individual cell lines were assessed using RT-qPCR and/or immunostaining. DOX concentrations used in experiments were based on such titration experiments and kept at a minimum level just enabling near-homogeneous transgene induction within the cell population. Following RNA isolation with on-column gDNA digestion (Machery Nagel), reverse transcription was performed using M-MLV reverse transcriptase (Affymetrix # 78306) with oligo-dT15 priming at 42°C. RT-qPCR was carried out using validated primers given in Supplementary file 4 and BioRad iTaq Universal SYBR Green Supermix (# 172–5124) on an ABI 7500 cycler. RPL37A served as a housekeeping control standard. qPCR reactions contained 10 µl of iTaq mix, 3 µl primer mix (containing 2.5 µM of each oligonucleotide), and 7 µl pre-diluted cDNA. The ΔΔCt method was used to calculate relative transcript abundance against an indicated reference. Alternatively, results were expressed as percentage of RPL37A expression (100 * 2-ΔCt), given a uniform primer design and careful validation with regards to amplification efficiencies. Unless otherwise stated, error bars denote standard errors between biological replicates from independent experiments. Paired/unpaired, one- or two-sided t-tests were performed as and where appropriate, based on absolute % RPL37A values or relative transcript abundance. * indicates a significance level of p<0.05, ** indicates p<0.01. For genome-wide expression analysis, labeled cRNA was prepared from 500 ng of DNA-free RNA samples using TotalPrep linear RNA amplification kits (Thermo # AMIL1791). Microarray hybridizations on Illumina V4 human HT-12 bead arrays were carried out as recommended by the manufacturer, with 14 hr of in vitro transcription. Cy3-stained chips were scanned using HiScan SQ instrumentation. Background subtraction, cubic spline normalization, and scatter plot analysis were carried out using GenomeStudio software. Statistics were based on an implemented Illumina custom model with multiple testing corrections. Processed data were filtered in MS Excel by setting experience-based thresholds for expression changes and minimal gene expression levels. Human heart data were taken from a previous analysis (Piccini et al., 2015). Hierarchical clustering of genes was performed with one minus correlation metrics and the unweighted average distance (UPGMA), also known as group average, linkage method. Violin plots were generated from filtered gene sets using a Matlab-based algorithm based on a modification of the Matlab function distribution Plot.m by Jonas Dorn, and graphics tools for calculating distributions of relative gene expression differences . For functional annotation, array probe sequences were converted into GRCh37/hg19 genome coordinates employing the Ensembl BioMart interface to then be used as input for GREAT (McLean et al., 2010). Statistically significant hits were subjectively filtered for biological relevance and presented based on the obtained p values. Expression levels of individual genes are presented as array intensity signals ± bead standard deviation. Full data sets comprising comparative differentiation time-courses of WT, ISL1 KO, and rescued cells have been submitted to the NCBI GEO database in a MIAME-compliant format, under accession number GSE100592. Immunofluorescence analysis was carried out using standard procedures. Briefly, cells were fixed in culture plates using 4% (w/v) paraformaldehyde, permeabilized and blocked with 0.2% (v/v) Triton X-100 / 5% (v/v) FCS / 2% (w/v) BSA / 2% (w/v) glycine in PBS for 45 min, and incubated with primary antibodies over night at 4°C, in 0.5% BSA/PBS. Antibodies used are listed in Supplementary file 4. Secondary Alexa-488 or Alexa-568-conjugated antibodies and Hoechst were used for fluorescence staining of samples. 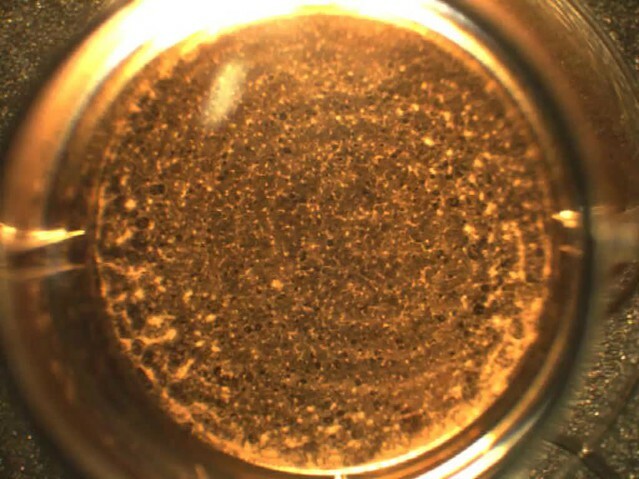 Images shown are full or cropped frames taken with a 10x or 20x objective, as appropriate, mounted to a Zeiss Axiovert microscope. Cellular morphology was captured using Olympus CKX41 cell culture or Leica MZ16 stereo microscopes. For western blotting, protein lysates were prepared for 20 min on ice using NP-40-containing RIPA buffer with protease inhibitors and benzonase. Total protein concentrations were adjusted using Bradford assays. SDS-PAGE electrophoresis using 10–80 µg of protein per sample and electroblotting were performed employing standard procedures and equipment (BioRad). 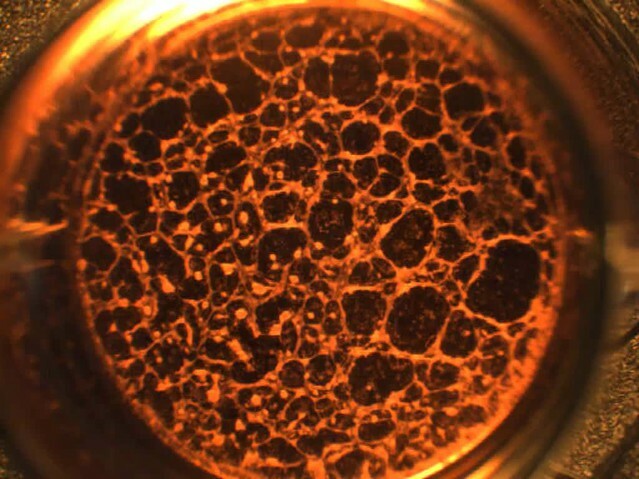 Nitrocellulose membranes were blocked with 4% (w/v) milk in 0.1% (v/v) Tween 20/PBS. Most primary antibodies (Supplementary file 4) were diluted in 0.5% BSA/PBS T. HRP-conjugated secondary antibodies and West Pico chemiluminescent substrate (Thermo # 34087) were used for protein detection on x-ray films. For cell cycle analysis, differentiating hESCs were dissociated into single cells using TrypLE Select (Thermo). After dissociation, cells were pelleted, washed in PBS, resuspended in 50% FCS/PBS and fixed in 70% ethanol for 24 hr. Then, cells were incubated for 3 hr with 20 µg/ml propidium iodide (Sigma-Aldrich) and 200 µg/ml DNase free RNase A in 0.1% (v/v) Triton X-100/PBS, and analyzed on a Beckman Coulter Gallios device. For chromatin immunoprecipitation, differentiating day 5 cells were harvested using Accutase, resuspended in ITS/HSA medium (see above) and fixed for 10 min by adding freshly thawed formaldehyde solution to a final concentration of 1% (w/v). After stopping with 125 mM glycine, pellets of 5 * 106 cells were stored at −80°C or processed immediately. Samples were lysed in hypotonic Tris buffer and sonicated 35 times with a 30 s on / 30 s off cycling protocol using a Diagenode Bioruptor device at high power (volume: 300 µl), to yield an average DNA fragment size of ~200 bp. Following 10-fold dilution with 50 mM Tris pH 8 / 200 mM NaCl / 5 mM EDTA / 0.5 (v/v) NP40, sheared samples were incubated with 10 µg of antibody over night at 4°C on a rotator. Antibodies used were raised against a transgenic ISL1-HA tag or against ISL1 itself (Supplementary file 4). Antibody/chromatin complexes were isolated using Pierce protein A/G-conjugated magnetic beads (Thermo # 26162) and washed repeatedly with high-salt (500 mM NaCl) wash buffer. ChIP samples were eluted using 65°C 1% (w/v) SDS-containing buffer, crosslink-reversed in the presence of 200 mM NaCl for 4 hr at 65°C, treated with RNase A and Proteinase K, and purified on Qiagen PCR purification columns. For ChIP-qPCR, purified DNA samples were diluted ~10 fold with water and used as templates for qPCR employing primers given in Supplementary file 4. Serial dilutions of input DNA served to yield unenriched controls. Fold enrichments were calculated via internal normalization to an irrelevant negative control locus (in OTX2) and subsequent division by corresponding values from input or no-DOX samples. ChIP and input DNA samples were pooled from several independent experiments each, processed using a dedicated Illumina library preparation kit (# IP-202–1012), and sequenced (single-read, 75 cycles) on an Illumina NextSeq 500 system. BCL files were converted to FASTQ format using Illumina bcl2fastq software. Trimmed reads were mapped to the human genome (hg19) using default settings in Bowtie 2 (Langmead and Salzberg, 2012). The Picard suite was subsequently employed for Bam file generation, soft-clipping, and duplicate read marking. ChIP peaks were called using MACS2, based on comparing DOX and input control samples (Feng et al., 2012; Zhang et al., 2008). Minimum FDR (q value) cutoff for peak detection was 0.01. Heat maps were generated using the plotHeatmap function in deepTools (Ramírez et al., 2016). Plotted scores were calculated from normalized bigWig files using the computeMatrix function from the same package. Repeat-free target regions were functionally annotated employing the GREAT analysis suite (McLean et al., 2010), using the corresponding hg19 genome coordinates as input (setting: two nearest genes within 1 Mb). Statistically significant hits were subjectively filtered for biological relevance and presented based on the obtained p values. Unbiased motif searches were carried out using the DNA sequences underlying hit regions from Supplementary file 3 as input to MEME (Bailey et al., 2009). ChIP-seq peaks were visualized using custom tracks in the UCSC Genome Browser. ChIP-seq raw data have been submitted to the NCBI GEO repository, under accession number GSE101477. For analysis of hESC-CMs on microelectrode arrays (Multichannel Systems), the electrode areas of plasma-cleaned 9-well MEAs were coated with 3 µl of a 1:75 diluted Matrigel solution in KO-DMEM for approximately 2 hr in a humidified cell culture incubator. Maturated CMs were dissociated from maintenance cultures using a 10 x TrypLE Select digestion to obtain a single-cell / small aggregate suspension. Coating solution from the electrode chips was replaced by a ~3 µl suspension droplet containing 25,000–50,000 cells in CM splitting medium. 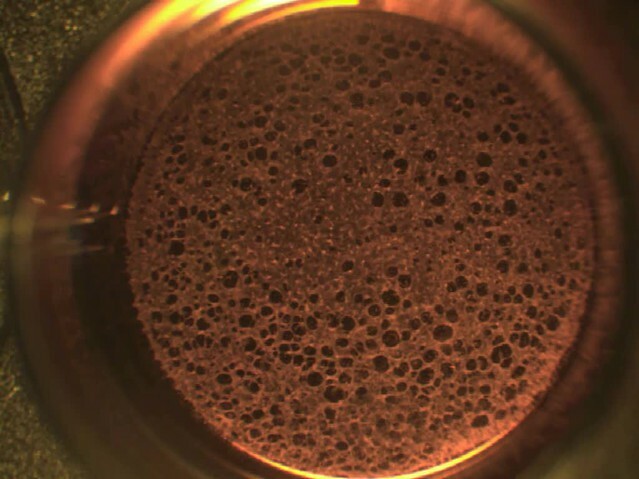 Following fill-up with CM maintenance medium and equilibration over several days, spontaneous beating behavior was recorded and analyzed using MC Rack software. For action potential (AP) measurements, cultured hESC-CMs were enzymatically dissociated into single cells as previously described (Meijer van Putten et al., 2015) and plated at a low density on Matrigel-coated coverslips. AP measurements were performed using the amphotericin-B perforated patch-clamp technique and an Axopatch 200B amplifier (Molecular Devices). Data acquisition and analysis were realized with custom software. Signals were low-pass-filtered with a cutoff of 5 kHz and digitized at 40 kHz. The potentials were corrected for the calculated liquid junction potential of 15 mV (Barry and Lynch, 1991). Cell membrane capacitance (Cm) was determined with a -5 mV voltage step from −40 mV by dividing the time constant of the decay of the capacitive transient by the series resistance. APs were recorded at 36 ± 0.2°C from single and spontaneously contracting hESC-CMs. Cells were superfused with solution containing (in mM): 140 NaCl, 5.4 KCl, 1.8 CaCl2, 1.0 MgCl2, 5.5 glucose, 5.0 HEPES; pH 7.4 (NaOH). Patch pipettes (borosilicate glass; resistance ≈2.5 MΩ) contained (in mM): 125 K-gluconate, 20 KCl, 5 NaCl, 0.44 amphotericin-B, 10 HEPES; pH 7.2 (KOH). hESC-CMs typically lack the inward rectifier K+ current, IK1, that limits the functional availability of Na+ current (INa) and transient outward K+ current (ITo) (Giles and Noble, 2016; Hoekstra et al., 2012). To overcome this limitation, we injected an in silico IK1 with kinetics of Kir2.1 channels through dynamic clamp, as we previously described in detail (Meijer van Putten et al., 2015). An amount of 2 pA/pF peak outward current was applied, resulting in quiescent hESC-CMs with a maximal membrane depolarization (MDP) of −80 mV or more negative. APs were elicited at 1 Hz by 3 ms, ~1.2 x threshold current pulses through the patch pipette. We analyzed the MDP, maximum AP amplitude (APAmax), AP duration at 20, 50% and 90% of repolarization (APD20, APD50, and APD90, respectively), maximal upstroke velocity (Vmax) and plateau amplitude (APAplat) measured 20 ms after the AP upstroke. Averages were taken from 10 consecutive APs. 4-aminopyridine (4-AP) to block IKur was used at 50 µM as described previously (Devalla et al., 2015). Journal of Biological Chemistry 271:12209–12212. The Journal of Membrane Biology 121:101–117. Journal of Clinical Investigation 117:1794–1804. New England Journal of Medicine 350:1353–1356. Nature Reviews Molecular Cell Biology 16:110–123. Islet1 cardiovascular progenitors: a single source for heart lineages? American Journal of Physiology-Heart and Circulatory Physiology 301:H2006–H2017. Molecular and Cellular Biology 21:4391–4398. Journal of Developmental Biology 2:50–71. Thank you for submitting your article "Revised Roles of ISL1 in a hES Cell-Based Model of Human Heart Chamber Specification" for consideration by eLife. Your article has been favorably evaluated by K VijayRaghavan (Senior Editor) and three reviewers, one of whom is a member of our Board of Reviewing Editors. The following individual involved in review of your submission has agreed to reveal his identity: Joshua Waxman (Reviewer #3). Quaranta et al. reinvestigated the function of the LIM transcription factor ISL1 (ISLET-1) during cardiac differentiation using human embryonic stem cells (hESCs) as a model of early cardiogenesis. To investigate the function of ISL1, an ISL1 knockout hESC line was generated. Using a novel differentiation protocol of hESCs, the authors observe that depletion of ISL1 slows down the differentiation process. This phenotype is reverted when induction of ISL1 transgene is made on days 3-4. Based on these results they conclude that ISL1 is not required to stabilize the cardiac precursor cell state but rather accelerates cardiomyocyte formation, defining ISL1 as a pro-differentiation factor. To validate the hypothesize that the ISL1-depletion causes a switch in cardiomyocyte subtype identity, a series of experiments, including microarray analysis and competing induction by retinoic acid (RA), were performed. Therefore, they propose that ISL1 promotes ventricular cardiomyocyte specification and counteract an atrial fate induced by RA. 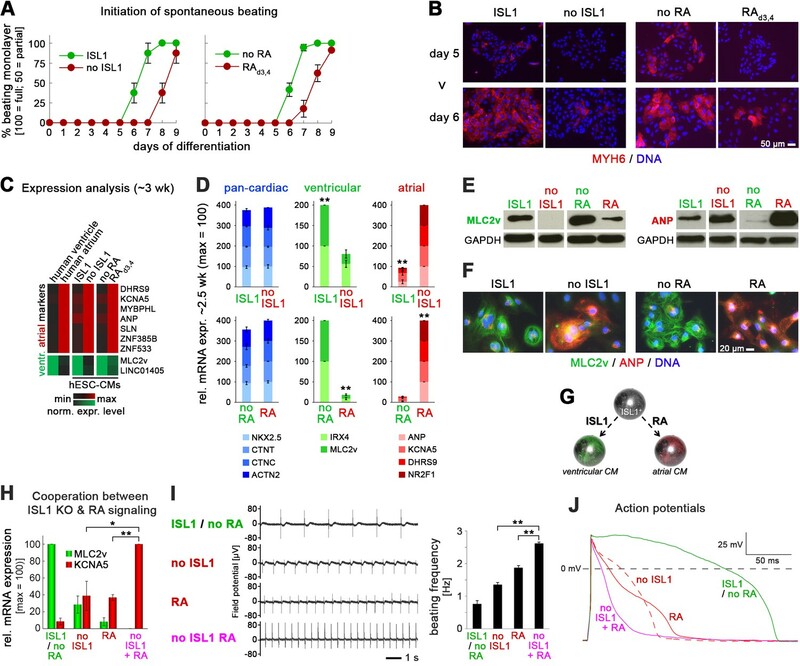 in vivo experiments and functional genomics analysis show that ISL1 functionally antagonizes atria specification driven by RA signaling. A regulatory module of this competition involving repression of Isl1 and activation of Nk2f1 by MEIS1, and repression of Nk2f1 by ISL1, is proposed in conclusion. The work is carefully and thoughtfully done and directed by strategic analyses. In general, this study is an interesting investigation because ISL1 is a crucial factor for heart development. 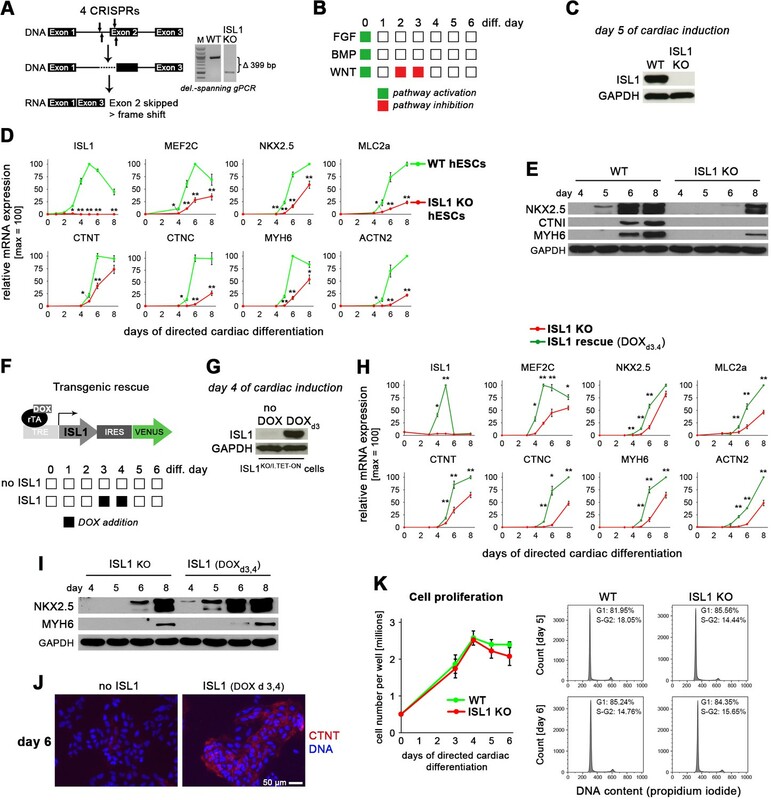 Although it shows alignment with in vivo analysis of the role of RA in SHF development and has the merit to revise the view of ISL1 function during cardiac differentiation in pluripotent stem cells, there remains discrepancy with previous works. Indeed, overexpression of Isl1 in mouse ESCs results in normally beating cardiomyocytes, highly enriched in the atrial subtype at the expense of the ventricular lineage. Hence, this discordance should be addressed more critically. It is important to know if data are exclusive to hESCs or can also be applied to in vivo context. Furthermore, for this to be a compelling contribution, new regulatory links established in this study between MEIS1 and Isl1, and between ISL1 and Nr2f1, should be substantially strengthened. 1) Subsection “ISL1 accelerates pan-cardiac gene induction in hESCs”, last paragraph. Authors should include GO term analysis for the 73 cardiac and uncharacterised genes that are differentially expressed between WT and Dox-induced ISL1 in the KO background. The authors' claim for accelerated CM formation needs stronger justification. 2) Subsection “ISL1 KO phenocopies an atrial wild-type CM phenotype induced by retinoic acid”, last paragraph. The effects on action potentials after inhibition of KCNA5 seem weak. Would this be expected from knowledge of the involvement of this channel in atrial action potentials? 3) How does the ISL1 ChIP data compare to other data sets in target cell, size and overlap? The low number of apparent targets may be a technical and therefore a conceptual weakness. How can this be strengthened? 4) What is the outcome on MEIS2 after over-expression of ISL1. This important link seems to be missing. The authors suggest a unidirectional network. But perhaps ISL1 can also inhibit MEIS2. There would be many examples in the literature of segregation of cell fates through mutual TF antagonism (e.g. cardiac vs. blood). 5) The work of Mohun and antagonism between NKX2-5 and MEIS TFs should be considered and cited. How does it sit with this model? An important point for discussion as the ISL1 binding site revealed by ChIP in the current study is very similar to the NKE. 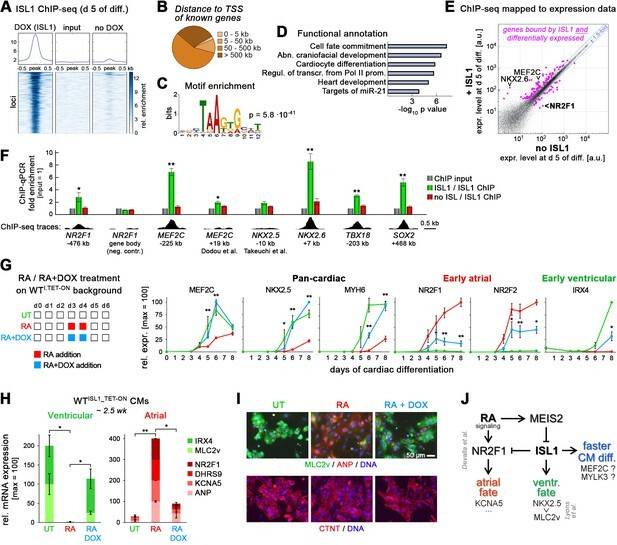 6) The regulatory relationships between ISL1 and Nr2f1 and between MEIS1 and Nr2f1 should be functionally tested using gain and loss of function and better analysis of ChIP and putative regulatory elements. The authors performed ISL1 ChIP-seq analysis to identify direct target genes. However, the choice of the ISL1 enhancers is not totally explained. For example, why the NRF2 (-476kb) or MEF2C (-225kb) were selected? The ISL1 bound region in Nr2f1 is ~0.5Mb away from the gene body and no functional data is provided to suggest it acts as a distal repressor. A more detailed analysis should be made. It is important to know whether other cardiac TF-binding sites are found around this region. Enhancer function should be tested in vivo or in vitro. 7) The authors used a published protocol for hESC differentiation, however characterization of cardiomyocytes origin (FHF vs. SHF) is missing in this study and potentially bears on how the current data meshes with in vivo studies on RA function in the SHF. 8) It is surprising to observe that peak of ISL1 expression, at day 5, corresponds to the activation of differentiated markers (cTnT, cTnC…). Please comment. 9) The time-course of ISL1 overexpression is not fully analyzed. It will be important to assess whether its overexpression affects the fate of multipotent cardiovascular progenitors at an earlier stage. Indeed, induction of ISL1 on days 3-4 is not sufficient to understand its function. 10) Proliferation of cardiac progenitors after ISL1 expression and deletion should be correctly addressed. Gene expression here is being used only to define identity, but could also reflect flux in cell populations. 11) The authors observe that ISL1 suppresses the atrial induction by RA signaling. However initially it was shown that late induction of ISL1 (3 weeks) antagonises the expression of ventricular specific gene Mlc2v (Figure 2G). The timing of induction of ISL1 expression in all subsequent experiments should be clarified and it should be indicated how early induction relates to atrial inhibition. For example, in Figure 6G, Dox induction of ISL1 is done at d3 and d4. 12) Functional activity of differentiated cardiomyocytes was used to identify the subtype identity of these cells. However large images of differentiated cardiomyocytes should be provided. 13) Antagonism between RA signaling and ISL1 was mainly addressed through RA activation. It is important to examine the effect of RA deficiency in this context. 14) The choice of MEIS2 should be better explained. 15) Their observation that ISL1 accelerates CM differentiation in hES-derived cardiomyocytes is pretty much exactly what would be expected. From extensive in vivo and in vitro work, ISL1 is a marker of second heart field progenitors whose transient expression is required for cardiomyocyte differentiation. Thus, one would not really expect a primary requirement in the amplification of the progenitor population. In fact, signals that promote the proliferation of this population, such as canonical Wnt signaling, inhibit ISL1 expression and cardiomyocyte differentiation. This should be better discussed. 16) While it's true that ISL1 KO mice still have some atrial cells, these are thought to be first heart field-derived. More importantly, the ISL1 KO mice have significant atrial defects, arguing against their conclusion. Furthermore, in zebrafish, ISL1 is required for atrial differentiation at the venous pole. Please discuss. 17) Loss of Meis factors only tempers the induction ability of retinoic acid, suggesting RA must induce/repress other critical factors. Please comment. 18) Whether NR2F1 is required for the atrial differentiation effect observed in ISL1 KO cells should be tested. It is not clear that Nr2f1 can be accepted as a master regulator of atrial differentiation, at least by itself in hES cells, and the major factor driving cardiomyocyte specialization in this context. We are happy to provide a corresponding GO analysis in new Figure 1—figure supplement 1G. The gene set is highly enriched for cardiac myocyte terms, thereby strengthening our interpretation of ISL1 being an accelerator of cardiac differentiation. As detailed below, we have also carried out experiments to rule out alternative explanations, notably positive effects of ISL1 on precursor cell proliferation (new Figure 1K). Together with the previous data, we think the differentiation-accelerating function of ISL1 is now well documented and analyzed. We thank the reviewer for encouraging these additional efforts. In the present study, we observed clear effects of IKur blockade on the RA- and ISL1-KO action potentials, especially in the early repolarization phase. This in agreement with previous findings in RA-treated HES-CMs and hiPSC-CMs, where IKur was inhibited by blockers [Devalla et al., PMID 25700171] or by genetic manipulation [Marczenke et al., PMID 28729840]. It is also largely similar as found in freshly isolated human atrial myocytes [Wang et al., PMID 8222078; Ford et al., PMID 23364608; Ford et al., PMID 26455450]. The effects of IKur blockade are most pronounced in the early repolarization phase of atrial action potentials, because IKur is active at these potentials (-30 mV and more positive) [Wang et al., PMID 8222078]. Effects on the final repolarization phase are less clear, and can differ between studies. This is because IKur inhibition raises the plateau level to more positive voltages and consequently there is an increase of the repolarizing rapid delayed rectifier potassium current. This may counteract the action potential prolonging effect of IKur inhibition [for review, see Nattel et al., PMID 10575199]. We are aware that the IKur blockade-induced elevation of the action potential plateau seems more pronounced in freshly isolated human atrial myocytes [Ford et al., PMID 26455450] than in hES-CMs and hiPSC-CMs. The exact reason it unknown. We noticed stronger effects in our previous hiPSC-based study [Marczenke et al., PMID 28729840], so it might be an issue with the HuES6 background used here throughout. Furthermore, developmental changes in IKur have been described with a larger contribution to repolarization in adult state [Trépanier-Boulay et al., PMID 15364616]. The overall role of IKur in atrial hPSC action potential repolarization may thus be smaller than in freshly isolated human atrial myocytes. As acknowledged in the first paragraph of the subsection “ISL1 functionally antagonizes atrial specification driven by RA signaling”, technical reasons for the rather low fold enrichments cannot be fully excluded. Through personal communication with ISL1 experts, we have learned that there is virtually no commercially available ISL1 antibody that would be highly suited for ChIP, and our protocol tends to give better enrichments in case of other targets. To our knowledge, our data set represents the first ISL1 ChIP-seq analysis in a cardiac context. (There is no published mouse one, for instance, to compare our data set with.) Moreover, many target genes showed differential gene expression when comparing ISL1+ and ISL1-deficient cells, while ISL1 KO cells served as an excellent specificity control in the ChIP-seq analysis. Furthermore, the set of target genes was enriched for meaningful annotation terms and the identified motif resembles previously identified ones (Mazzoni et al., PMID 23872598). Finally, with regards to the overlap with the differential expression data (Figure 6E), we also wish to point out that the effects of ISL1 disruption / induction on the cells' transcriptome are not really massive at an appropriate early time point (d 5). Hence, we think the rather small size of the ChIP-seq data could simply reflect the reality rather than presenting a "conceptual weakness", so we would like to stick to our interpretation. A valid and interesting point, also because MEIS2 is part of the ChIP-seq set of genes (Supplementary file 3). New data generated are in Figure 5—figure supplement 1C: There is a very modest effect of ISL1 on MEIS2. Since the effect was not statistically significant, we did not incorporate it into our model. So, the ISL1 KO phenotype and the rescue by pulsed ISL1 induction appears to be MEIS2-independent. In this particular case, gene regulation appears to be unidirectional, with MEIS2 being able to downregulate ISL1 and not vice versa. We are happy to cite the paper by Dupays et al. in our Discussion (subsection “Antagonism with RA signaling and cardiac subtype-specification module”, first paragraph) as it provides strong support for a functional role of MEIS1/2 in cardiac development. Although our study is ISL1-centred, in the revised manuscript we now also provide an analysis of terminally differentiated MEIS1/2 DKO cells that showed a mild but interesting phenotype (positive staining for CM markers but no spontaneous beating – Figure 4—figure supplement 1D). An extended discussion of MEIS2 would certainly be justified if there was a mutual regulation between ISL1 and MEIS2. Since it is mostly unidirectional, though (see previous point and new Figure 5—figure supplement 1C), we would rather want to restrict our discussion to MEIS2 as a mediator of the ISL1-repressing effect by RA. As to MEIS2, we think the data in Figure 4 and Figure 4—figure supplement 1 provides strong evidence for the repressive effect on ISL1. Based on searches for a published MEIS1 motif in the ISL1 locus, we have now carried out ChIP-qPCR analyses of various candidate regions (without being able to validate the antibody). None of the >15 tested regions gave a significant enrichment, so we are not including these data, while acknowledging that the uncovered regulatory link between MEIS2 and ISL1 is based on clear-cut transcriptional effects: Importantly, this part of the overall model is supported both by gain and loss-of-function experimentation using MEIS2 TET-ON as well as MEIS1/2 double-knockout cells (Figures 4C and 4D, respectively). With regards to the DKO analysis, we felt it was important to validate that these mutant cells are still capable of forming cardiac-like cells, which we now provide as new Figure 4—figure supplement 1D. The presentation and qPCR confirmation of selected ISL1 targets regions was based on the unbiased analysis of the ChIP-seq data set. As already mentioned, we sought to use the most stringent assay for evaluating the functionality of the -476kb element upstream of NR2F1, namely, to delete this region on an ISL1KO/I.TET-ON background. The ultimate experiment was then to ask whether in this -476kb mutant line, ISL1 induction on ISL1 KO background would fail to downregulate NR2F1 at the cardiac precursor stage. The experiment is shown in Figure 6—figure supplement 1C and regrettably, it did not reveal the predicted defect. Hence, we have toned down on our interpretation (subsection “ISL1 functionally antagonizes atrial specification driven by RA signaling”, second paragraph) although transcriptionally, the effect is highly reproducible and strong. This fact is also underscored by additional data generated during this revision. For instance, Figure 5C shows that endogenous RA signaling is not involved in NR2F1 upregulation in the ISL1 knockout, and Figure 3—figure supplement 1E highlights the cooperativity of ISL1 KO and RA signaling in promoting NR2F1 induction. We hope the reviewer acknowledges our attempts to strengthen the data. We agree it is an interesting question which developmental route hESCs actually take for acquiring a cardiomyocyte identity. We are devoting an entire paragraph to discussing this matter (subsection “Paradigm for second heart field development?”). As stated in this section, the difficulty in assessing the point resides in the lack of definite markers distinguishing between FHF and SHF. ISL1 itself is the prototype marker for the SHF (Cai et al., PMID 14667410), yet Dorn et al. (PMID 25524439) have recently shown that Isl1 is also expressed in the FHF – albeit very transiently and likely without playing any important role there. So, the issue needs to be treated with caution and accordingly, we are discussing it in a rather careful manner. Notably, in our protocol, ISL1 expression is very prominent and lasts for several days. Moreover, the cells are – like the SHF – functionally responsive to RA to become fated into atrial CMs. Hence, we believe this present study itself, with its thorough analysis of ISL1 function and its integration with RA signaling, may serve as an indication that the cells take a SHF route upon directed differentiation. At least our model fits best to this idea. It would be interesting to investigate if alternative protocols – notably BMP-driven ones – yield different ISL1 expression kinetics or significantly lower expression levels. Indeed, and it is for this reason why we interpret these rapid kinetics as ISL1 being a functional driver of terminal cardiac differentiation. In our protocol, ISL1 expression commences at day 3 and reaches near-maximum levels as early as by day 4. In revised Figure 1D, we now show the kinetics of ISL1 induction at increased temporal resolution. This way, it can now be better appreciated that ISL1 precedes the upregulation of terminal differentiation genes and conversely, their induction kinetics becomes delayed in an ISL1-deficient scenario. Interestingly, though, our time course and ChIP-seq analyses suggests that ISL1 may not directly activate many structural CM genes (with few exceptions like MYLK3 – l. 356, Supplementary file 3) but may rather control additional players like MEF2C and NKX2.X genes. These immediate-early targets show an even earlier induction compared with structural CM genes, i.e. they start becoming expressed approximately one day earlier (see day 4 data of MEF2C in Figure 1D/H, NKX2.5 data in Figure 1I, and Figure 1—figure supplement 1A-D). As stated at the end of the Discussion section, we think our study certainly encourages the functional investigation of additional players involved in the cardiac program. We are not sure whether we can agree to this point. Overall, given the rapid course of events in cardiac differentiation, we felt careful time course analyses would present the best means of analyzing the downstream effects of ISL1. In this regard, the TET-ON system proved to be a great tool allowing us to compare ISL1+ and ISL- scenarios in otherwise identical cell populations. (That is, any potential technical / cell batch etc. variability between e.g. WT and KO cells becomes eliminated this way.) We used DOX induction at days 3 and 4 in most experiments, as this most closely mimics the transient expression of endogenous ISL1 in WT cells. Revised Figure 1D now shows this pattern at increased temporal resolution. Indeed, pulsed ISL1 induction nicely rescued all phenotypes of ISL1 KO cells and our genome-wide time course analysis strongly supports this notion (Figure 1—figure supplement 1E-G, Supplementary file 1). Nonetheless, we have also investigated the consequences of continuous ISL1 overexpression up until the early CM stage, which is shown in Figure 2D-F: There was no indication that ISL1 would arrest the differentiation process in any way. In further support of this notion, we now also show that ISL1 does not influence the expression levels of other precursor markers (new Figure 2—figure supplement 1D) and that it does not significantly influence cell proliferation (new Figure 1K). While we do acknowledge that long-term (i.e. non-physiological) ISL1 overexpression interferes with ventricular subtype specification as observed by Dorn et al. using mouse cells (PMID 25524439), we think our short-term analyses provide compelling evidence for ISL1 acting as an accelerator of cardiac differentiation. We agree and have carried out cell counting combined with cell cycle analysis based on propidium iodide staining (new Figure 1K). There were no significant differences between WT and ISL1 KO cells. While these results do not fully argue against a role of ISL1 in cell proliferation in general, they demonstrate that, in context of our directed differentiation protocol, the differences in cardiac induction kinetics are not due to an altered proliferation ability of ISL1 KO cells. We thank the reviewer for bringing up this important aspect. DOX at days 3 and 4 was consistently used throughout unless stated otherwise (also see response to point 9 above). This fact is now clearly stated: "Unless stated otherwise, the endogenous ISL1 expression pattern was mimicked by pulsed DOX administration on days 3 and 4 using ISL1KO/I.TET-ON cells." In addition, DOX timing is indicated in virtually all figures or accompanying legends (e.g. as "DOXd3,4"). In Figure 3, where this fact admittedly may not have been fully clear, we have added the following statement to the legend: "In case of using ISL1KO/I.TET-ON cells, all ISL1+ data in this figure are based on a day 3-4 treatment with DOX". In some cases throughout this study, we used continuous long-term or late-stage DOX treatment like for instance in new Figure 2E, which is indicated in the treatment scheme in that same figure. Beyond that, the exact ISL1 overexpression duration in the short-term did not actually appear to be too critical: As shown in Figure 2D-F, continuous ISL1 overexpression from day 3-7 did by no means interfere with terminal cardiac differentiation but accelerated the process – just as a day 3-4 treatment did (Figures 1 and Figure 1—figure supplement 1). Interestingly, the time window of maximum RA responsiveness (d 3-4) matched well with the time window of endogenous ISL1 induction (see optimization data for RA-mediated atrial induction in Figure 3—figure supplement 1C-D) and we think this fact relates to the elucidated functional antagonism between RA and ISL1 as reflected by our model. We can agree to showing the pictures at higher magnification since we already show bulk analysis of the same kinds of samples in the previous panel (Figure 3E) using immunoblotting. As requested, in revised Figure 3F, the specificity of the stainings can now be better appreciated – some subcellular structure in case of MLC2v as typical for the still rather early time point of analysis (3 wk), and a perinuclear / speckled subcellular pattern for the secreted factor ANP. A good point which is also relevant in light of a recent study by the Keller laboratory (PMID 28777944). In order to examine RA deficiency, we first validated and then employed the pan-RA receptor antagonist AGN 193109 (AGN) (Agarwal et al., PMID 8647816). Hence, in new Figure 5—figure supplement 1B, we first show that AGN strongly diminishes the RA-driven induction of the early atrial specifier NR2F1 (and NR2F2) in a dose-dependent fashion. In the actual experiment, AGN treatment then did not rescue the phenotype of ISL1 KO cells. In particular, it did not lead to the repression of NR2F1 (new Figure 5C). Hence, these results importantly demonstrate that ISL1 suppresses NR2F1 through a RA-independent regulatory axis. We thank the reviewer for the interesting suggestion. Surprisingly, AGN treatment in ISL1 KO cells actually lead to a further increase of NR2F1 (qPCR and Western blot) and of the independent atrial marker DHRS9 (qPCR). This outcome may be explained by the fact that in absence of RA, the RA receptors exert a repressive effect on their target genes (reviewed by Cunningham and Duester, PMID 25560970; Nagy et al., PMID 9150137). In this case, the inhibition of the receptors mediated by AGN could act by abolishing this repressive effect in the absence of RA, leading to increased gene expression of the targets. This information is now provided in the legend to Figure 4A: We used a 3-fold expression difference between the +RA and -RA samples at day 5 as a first filtering criterion, while additionally requiring a pronounced immediate-early effect on gene expression in the range of hours. This is an insightful comment and we tend to fully agree to this view – albeit mostly after having carried out this present study. In the literature, we failed to find hardly any evidence for a pro-differentiation function of ISL1 but rather, it is commonly used as the gene marking the progenitor state implying a functional role for stabilizing it. This is reviewed in our Introduction and in the beginning of our Discussion (Cao et al., PMID 23896987; Cohen et al., PMID 17607356; Qyang et al., PMID 18371348; Zhang et al., PMID 26942852). These studies also suggested a positive role of WNT signaling to promote ISL1 and cardiac precursor identity. It is for this reason that we also investigated various signaling molecules, including previously published cocktails, for their ability to stabilize the transient ISL1+ cell state and that we carefully examined whether sustained ISL1 expression would arrest cardiac differentiation (Figures 2 and Figure 2—figure supplement 1). To our knowledge, there is only one study that explicitly questions any positive role of WNT signaling in promoting cardiac precursor identity and of ISL1 being a stabilizer this stage (Kwon et al., PMID 19620969). We are citing this work in the last paragraph of the subsection “Differentiation-promoting function of ISL1”. In addition, we have added a sentence in the Discussion to underscore the controversial views in the field: "In support of this view, Kwon et al. (2009) proposed that ISL1 may actually be counterproductive for sustaining the cardiac precursor state." After all, our study presents the first investigation of ISL1 function in the human system and given the conflicting views in the field, we hope this work will help to clarify the functional roles of this key factor – beyond its differentiation-accelerating effect highlighted in Figures 1 and 2. Upon carrying out the present study we have learned about a revised view of SHF development that says the vast majority of atrial cells, too, are SHF-derived (e.g. in Burridge and Wu, PMID 26631515; Zaffran et al., doi:10.3390/jdb2010050). As stated in the Introduction (first paragraph), this paradigm change was apparently based on improved Isl1-Cre driver lines that were introduced several years after establishing ISL1 as a pan-SHF marker (Cai et al., PMID 14667410; Yang et al., PMID 16556916). At about E7.5, however, retinoic acid kicks in to act on the posterior part of the SHF where it promotes atrial specification while confining Isl1 expression to the anterior portion (Hochgreb et al., PMID 13129847; Sirbu et al., PMID 18498088; Ryckebusch et al., PMID 18287057). Hence, despite initially marking the entire (early) SHF, ISL1 may ultimately be incompatible with atrial specification and our competition experiments show that this is indeed the case. Admittedly, the situation that the early SHF is all ISL1+ whereas it later becomes divided into an ISL1- (posterior) and ISL1+ (anterior) domain is a bit confusing and may impede the understanding of ISL1 function. It is for this reason that we think the hESC system can make a significant contribution here. Overall, our data highlight a positive role of ISL1 in ventricular specification – in line with its prominent expression in the anterior SHF – and a negative one for atrial induction, in agreement with the exclusion of Isl1 from the posterior SHF. Hence, we do think our model actually agrees well with the mouse Isl1 knockout phenotype. Notably, our findings are related to the dynamic subtype specification process, not to preceding events. For instance, atrial defects seen in Isl1 knockout mice could also be due to a reduced number of early pan-SHF progenitors or due to an impaired migration ability of these cells. Although our study is exclusively based on the hESC system, we extensively (and carefully) discuss our findings in light of the in vivo context (subsection “Paradigm for second heart field development?”), which has now been extended by clarifying a seeming discrepancy with the Dorn et al. study (PMID 25514439) – subsection “Antagonism with RA signaling and cardiac subtype-specification module”, third paragraph. In sum, we attempt to incorporate current views of heart chamber development to the best of our knowledge, whereas in principle, we would not deny that there might also be alternative ways of interpreting our data. We would agree. In the MEIS1/2 double knockout, the ISL1 target MEF2C does not reach normal expression levels under RA, for instance, suggesting that there may be additional mechanisms downstream of RA leading to functional ISL1 depletion and release of the atrial program (Figure 4D). The model of Figure 6J is meant to best reflect our findings in terms of the two competing branches converging of NR2F1. Certainly, though, RA does more than merely triggering MEIS2 and NR2F1 expression and hence, the disclosure of the complete +/- RA expression time courses in Supplementary file 1 is also meant to serve as a transparent starting point for further investigation. As indicated in the illustration of Figure 6J, the importance of NR2F1 downstream of RA is based on the revealing work by Devalla et al. (PMID 25700171) in hESCs showing that it controls several key atrial ion channel genes like KCNA5. In full agreement with this, our study highlights the importance of ISL1 suppression to release its repressive block on NR2F1. We do not deny that there may be additional mechanisms and factors involved. Moreover, in an effort meant to be complementary to the Devalla et al. study, we successfully knocked out NR2F1 in our ISLKO/I.TET-ON line. We then sought to ask whether this defect would impede atrial induction as promoted by the ISL1 knockout. As already mentioned, though, following a total of three rounds of genetic manipulation (ISL1 KO + ISL1 TET-ON + NR2F1 KO), these cells failed to differentiate properly in our hands, which unfortunately prevented us from incorporating these significant efforts into the revised manuscript. We are aware, therefore, that we are lacking the ultimate proof at this point but hope the reviewer will acknowledge that we tried hard in extending our findings. We thank Dr. Alessandra Moretti for helpful discussions on ISL1 biology, and Dr. Gergana Dobreva as well as Dr. Eva Kutejova for sharing ChIP-seq expertise and data. This work was supported by the Chemical Genomics Centre of the Max Planck Society. RQ thanks the CIM-IMPRS graduate school for support. © 2018, Quaranta et al.